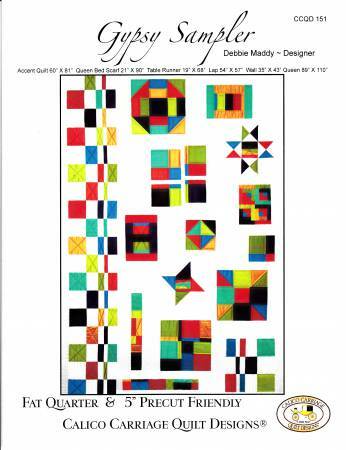 Contemporary Sampler. Quilt made with 9 Fat Quartersor Three 5in Pre-cut packs. Includes sizes forTable Runner to Queen bed quilt.